Ram arrived in London from Mumbai as a penniless student with the aim to educate himself and to improve his future life prospects. 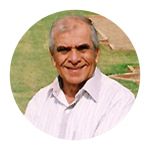 He started work as a messenger boy in a London advertising agency and attended evening classes to qualify as an advertising and marketing professional. Fortunately, he had a number of lucky breaks and made good progress early in his career, specialising in managing fast moving consumer products. He met and married Helga Drews from Germany, who had come to London to work as an au pair and to learn English. Later he joined Cadbury UK, later working in various international positions in Africa, Asia and London. After over 20 years with Cadbury international he took early retirement to live somewhere interesting and warmer in the southern part of Europe. Following Helga’s death in October 2003, Ram decided to devote his time, knowledge and experience to return something to society, particularly in the five countries - England, Germany, India, Indonesia and Nigeria - where they had lived and worked. He decided to establish a charity in memory of Helga and so the Helga Todd Teachers’ Education Foundation was registered with the Charities Commission England in March 2008, to advance teacher education and training. “Just as little drops of water together make the ocean, so little acts of kindness and compassion can and will make a difference”. 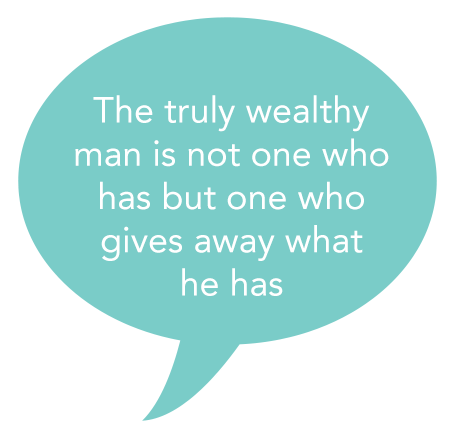 “The truly wealthy man is not one who has but one who gives away what he has”. “Worldly possessions matter very little. We cannot take them with us to the world beyond”. 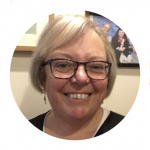 Kate has extensive experience in curriculum, assessment and professional development, at school, local authority and national levels in England. Trained in both primary and secondary phases, she has been adviser and inspector for the humanities in two local authorities and for OFSTED. 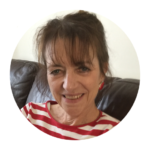 As Curriculum Adviser for the now defunct Qualifications and Curriculum Authority, Kate worked across the curriculum and across all phases, monitoring the English (national) curriculum and developing guidance for the wider curriculum (3-19). 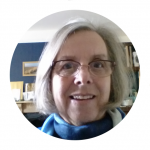 Since her retirement, Kate has worked as a consultant to schools, local authorities and national bodies, as a tutor for teachers in training and as subject adviser (history and humanities) for several London local authorities. As trustee and volunteer, Kate co-ordinated the Helga Todd training programme for young women in Northern India (Punjab) to teach 3 - 7 year olds in rural schools. She chairs the Education Sub-committee. Retired Management Consultant in International Development. Richard Pook is married with two grown up sons, one of whom is a teacher, and lives in London. 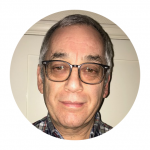 Richard has worked in International Development for over 30 years and has so far worked in 26 different countries including many projects for the likes of the World Bank, Asian Development Bank and the EU etc. He is a civil engineer by background, but having undertaken an MBA at Cranfield School of Management, he now specialises in the strategic and organisational side of business. It is this side of his skills and expertise that he brings to the Foundation as well as his knowledge of working in different countries and cultures. Ben Taubman joined the HTTEF in 2015 and became a trustee in 2016. He taught in secondary schools in London for thirty six years, first as a history teacher and later as a deputy headteacher responsible for curriculum development and Teaching and Learning.Ben has been involved in a number of international curriculum developments working with both primary and secondary schools across Europe and Africa. He has extensive knowledge of working in India in a variety of schools both in Bangalore and Delhi. At HTTEF, Ben has been responsible for developing and delivering a successful mentoring programme for our partner schools in Delhi. He is also responsible for a number of new initiatives that HTTEF is involved in. Anne has worked with Helga Todd since 2011, at first co-planning our two-year long early years’ training course for young Sikh women in Chandigarh, North India. Next she taught for five months, as the second “master trainer” - one of seven - alongside Indian colleagues and she has visited most years since then, most recently in 2018. She says “It was such a rewarding time and I learned so much about Indian education, that it is now my pleasure to help manage a similar experience for our newly qualified (Oxford) teachers at the start of their careers through HTTEF’s Helga Todd Newly Qualified Teacher Award. The role involves making a pastoral and evaluation visit to our partner schools in Chennai and Dehradun." During the year, Anne interviews and selects the applicants, and runs the preparatory workshops with colleagues and past alumni in Oxford. Anne qualified as a secondary teacher in English after a spell in arts’ administration. 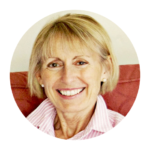 Her subsequent extensive cross phase experience in education, comes from her work as a teacher, examiner, local authority adviser, CPD provider and teacher trainer in London and the home counties. As an international educator and qualified teacher, Payal has played a variety of roles - teacher, learner, mentor, administrator, consultant and advisor. She has taught primary, middle and high school grades, following national and international curricula in geographies from Indonesia to Canada. This experience of about two decades has enriched her with a holistic understanding of developmental and contextual needs of students across the continuum of schooling. 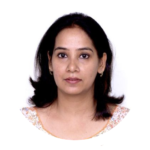 years in India, she has worked extensively in curriculum design, teacher training and programme evaluation of national and IB schools in India. Payal works with Helga Todd as a consultant on all our programmes. She is also a soccer mom, a drummer, and a tea-addict. Chris joined HTEF at the beginning of 2017 as a volunteer consultant trainer on the “Investigating Good Practice in Teaching and Learning” course for serving teachers in Delhi. She is now committed to working with the team at HTEF to develop new programmes and materials. 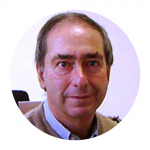 Chris has extensive experience of working with a wide range of people from different ethnic and social backgrounds. Throughout her professional life, she worked in primary schools in inner London to improve the educational opportunities for children in challenging circumstances and has comprehensive class teaching experience as teacher and headteacher. Later, Chris was seconded to East London University as a senior lecturer, teaching on education courses and providing tutorial support for students in training. After her Headship, Chris continued in teacher education, supporting and guiding trainee teachers’ professional development through observations of their teaching and providing oral and written feedback on their practice and assignments. She is currently Chair of Governors of a primary school in London. Hilary Street worked in inner London as a classroom teacher, head of department, a local authority advisor and as Deputy Director of a comprehensive sixth form centre. She spent six years in Hong Kong managing a project for ‘more able children’ for the English Schools’ Foundation, Hong Kong Open University and taught English as a second language to adults. Hilary is currently a governor at her local primary school, where she chairs the Teaching, Learning and Achievement committee. From 1992, she was a senior associate of the London Centre for Leadership in Learning at the Institute of Education and worked with schools throughout the UK. The focus of her work has been effective teaching and learning, school improvement planning and evaluation, and the associated leadership and management issues. She has written extensively on these matters as author and editor of the Primary and Secondary Leadership paper series for the National Association of Headteachers (NAHT), as well as writing an online leadership development programme for Fieldwork Press, and co-authoring a book on school improvement. Hilary’s work with the HTTEF, has been to teach on our continuing professional development - CPD1 - initiative with 12 Delhi schools and to plan and deliver the follow up CPD2 working intensively with just two schools. Marion joined HTTEF in 2016 to teach on Helga Todd’s Teaching & Learning professional development course for practising teachers in Delhi. She returned to do a second stint in 2017 and visited every nursery classroom in “our” twelve schools, to inform the CPD2 course for early years’ teachers, which she has just written. “I have loved working for the Helga Todd education Foundation, as it has enabled me to visit magnificent India and work with some extremely dedicated and enthusiastic teachers”. 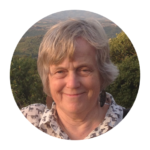 Marion said – “I had 34 years’ teaching experience all in North London, working in primary schools for 3-11 year olds. I had various subject leadership roles including art, music and special educational needs. My final management roles were as deputy and headteacher. A project experience in a secondary school determined the focus of my Masters in Education, the transition of pupils from primary to secondary schools.